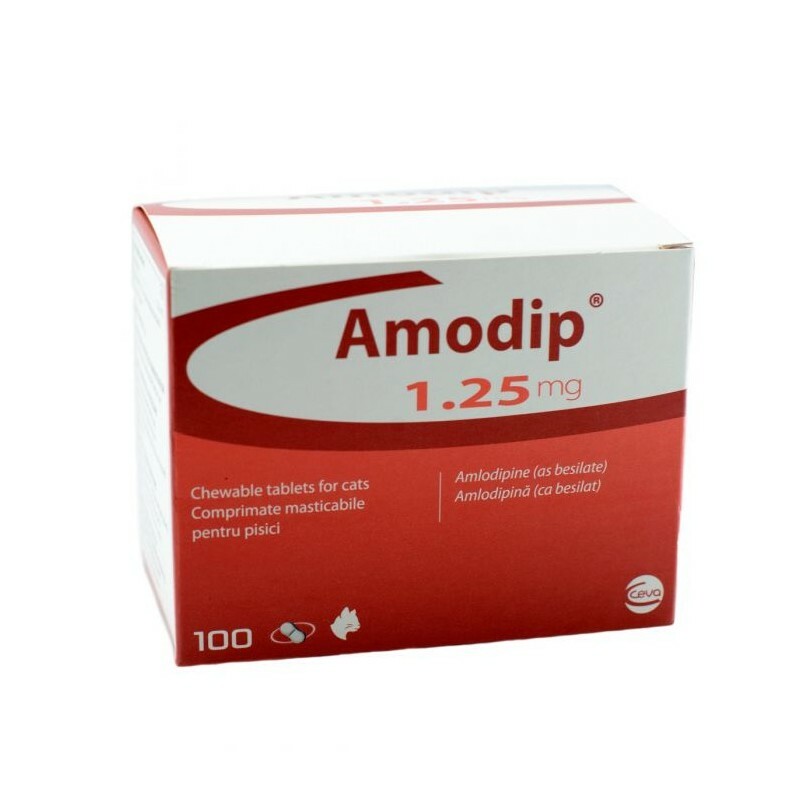 Amodip may only be supplied with a valid veterinary prescription, issued by your vet. You should only purchase Amodip if you have or are in the process of arranging such a prescription. See information bar for further details. 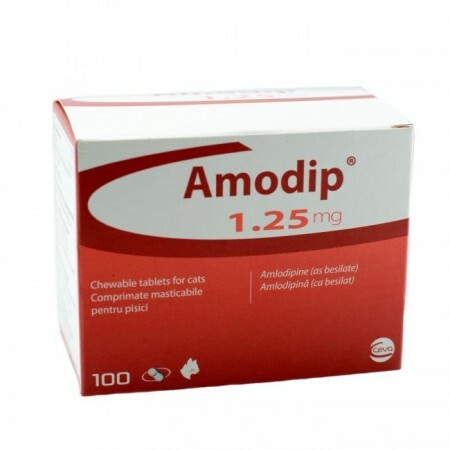 Amodip 1.25mg contains the active ingredient amlodipine, and is used for the control of high blood pressure (systemic hypertension) in cats. High blood pressure is particularly common in older cats, especially alongside other diseases such as hyperthyroidism, diabetes or kidney disease. The Amodip tablets are chicken-flavoured, chewable tablets which can easily be halved, allowing accurate dosing. They can be given on their own or hidden in food, making them easy to give. Use as directed by veterinary surgeon. Wash hands after use.